Permaculture is a cutting-edge approach to living that helps both people and the environment. By cooperating with nature and her energies, we are able to design our lives, from backyards to neighborhoods, farms or even cities, to be more abundant, more long-lasting, more ethical, healthier for all life in the system, and more enjoyable. This internationally respected Permaculture Design Course developed by Growth Permaculture™ is focused on giving you the tools to create a regenerative life, and a higher quality of life, through the basics of food, shelter, energy, water, health, nature, and community. It is a healthy mixture of theory, hands-on application, and group activities. Different learning styles are accommodated. The course will address strategies and techniques for both urban and rural areas in different climates and circumstances. For a detailed course description and testimonials, click here. 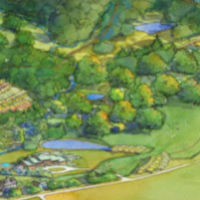 To learn more about Growth Permaculture, click on the logo below. Koreen Brennan has engaged in master planning, business incubation, and holistic economics using whole systems strategy and design, grown hundreds of species of edibles in a variety of conditions and climates, run edible nurseries, facilitated community development and facilitation, organized events, and has been a passionate educator for over 20 years, as well as a life coach and mentor. Koreen organized permaculture style disaster relief for thousands of Haitians living in camps after the 2010 earthquake, coordinated formation of the Sustainable Urban Agriculture Coalition St Petersburg, and organized natural building projects at Pine Ridge Lakota reservation. 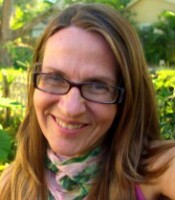 She has taught permaculture design for over ten years throughout the Americas and in Europe. A founding co-organizer for the North American Permaculture Convergence and the international permaculture Co-Lab effort (formerly known as The Next Big Step), Koreen serves on the Board of Permaculture Institute of North America. Koreen currently manages a permaculture medicinal herb and orchard demonstration farm in West Central Florida where she gets to dance with the natural world. She strives to live a balanced life, to walk her talk, and to make decisions in the interest of the next seven generations.